Many of the temporary measures set in place after all the aforementioned threats were supposed to be just that, temporary, but many of these regulations have stayed in place. I hope the no carry-on rule is short-lived. Current Regulations - Post Christmas Day Firecracker Incident Because of the threat and responsive security measures (see below), many planes are significantly delayed, and in some cases, short-hauls have been outright cancelled. Transport Canada Official Temporary Emergency Measure (Dec 2009) Temporary emergency measures include no carry-on bags to U.S.A. Effective immediately, CATSA is implementing temporary emergency measures at security checkpoints under the direction of Transport Canada. These measures are in response to a failed terrorist attack on board an aircraft from Amsterdam to Detroit on December 25, 2009. These new measures will affect all flights from Canada to the United States. U.S.A. bound passengers are permitted zero carry-on bags effective immediately and lasting until 9:00pm EST on December 29, 2009. 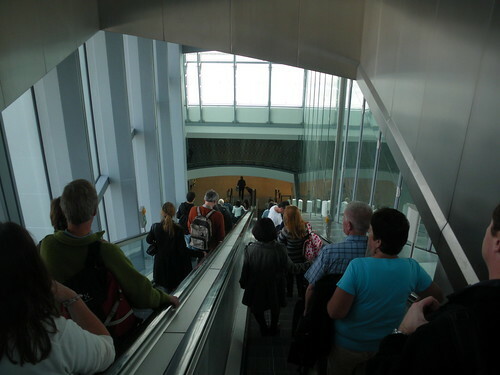 Passengers travelling within Canada are still permitted two carry-on bags (although to make the screening process most efficient, no carry-on is preferred). These rules will be strictly enforced during this period. There will be no flexibility. Carry-on baggage means items to which a passenger has access to during a flight, but does NOT include small purses, cameras, coats, items for care of infants, laptop computers, diplomatic or consular bags, crutches, canes, walkers, containers carrying life sustaining items, medication or medical devices, musical instruments, or a special needs item. The temporary emergency measures at the security checkpoints will be in effect until further notification from Transport Canada. Jan 5th, 2010 US-Bound Passenger Security Measures Update Passengers traveling to the United States from Canada are banned from bringing carry-on luggage onto the plane, with the following exceptions: • laptop computers & cell phones • small purses • cameras • coats • canes, walkers and crutches • medication and medical devices • supplies for the care of infants • musical instruments • containers carrying life-sustaining items • Huh? No Books or Mags? Travelers also are advised to arrive at the airport three (3) hours before their flights. Transport Canada expects the measures to remain in place until further notice. For international travellers to the US, according to the TSA: "every individual flying into the U.S. from anywhere in the world traveling from or through nations that are state sponsors of terrorism or other countries of interest will be required to go through enhanced screening. The directive also increases the use of enhanced screening technologies and mandates threat-based and random screening for passengers on U.S. bound international flights."